The Yarra Valley is around 60 kilometres east of the city of Melbourne and a haven for lovers of wine and food. Indeed, the first vines are said to have been planted in the region in 1838 on the site that is now home to the Chateau Yering winery. Without doubt it’s a great spot for a wine and food festival. It’s claimed as Victoria’s first wine growing district but, according to the Visit Yarra Valley website, production ceased in 1921 and replanting didn’t begin until the 1960s and steadily ramped up to reach a new peak in the 1990s. The area now prides itself on being one of the world’s leading cold climate growing regions, but more on that later. Fittingly enough it was a relatively cool Saturday, arguably the first of the year, as we wended our way to the inaugural Yarra Valley Wine and Food Festival on the Rochford Wines estate at Coldstream. It’s an easy drive from the city and gluttonous husband volunteered to keep himself nice and take charge behind the wheel, although we could have also availed ourselves of the free shuttle bus that ferried wine lovers from Melbourne’s Federation Square. The festival has had a number of iterations over the years. Many years ago it was known as the Grape Grazing where one was given a wine glass and ferried it from cellar door to cellar door in the region (home to around 160 wineries across roughly 25 square kilometres of vines). That was a tricky exercise – how to taste the delights but stay the right side of the blood alcohol limit to drive. As we walked into the expansive Rochford estate, we were pleased to see a sign offering free breath testing before one exited to the car parking – a nice touch. Gluttonous husband made a mental note to check his standing on the way out. We opted to get to the event as it began, not being a huge fan of crowds and hoping to be able to chat about what we were tasting to some knowledgeable folk. It seems a lot of people had the same idea, with quite a few early birds milling around the entrance at the appointed hour. We picked up the festival guide and plastic wine tumblers (pictured at the top of this post) as we entered. Our passes were accompanied by tasting tickets, nominally 10 tastings each and with gluttonous husband the designated driver, Greedy Girl girded her loins for what she anticipated would be a lot of sampling. It turned out the system wasn’t quite as cut and dried as that. The ’10 tastings’ tickets were exchanged for two ‘festival cards’, each holding $20 of credit. The wines available for tasting were then grouped into various categories: standard tastings were $2 each, premium tasting was at least $4 each and there were a list of wines that were ‘price on application’ for a taste. While The Foodie World was a guest of the festival and could sip her way through $40 in total, other patrons needed to purchase credit on the festival cards – the whole event was cashless. The huge grounds were set up in a number of zones. Wine tasting was conducted in laneways, divided into sparkling and whites, chardonnay, reds and pinot noirs. Given the area is noted for pinot noir, chardonnay and sparkling in particular, it wasn’t a surprise to see a large variety on offer. There was also a beer and cider laneway, but this was not available for tasting, only purchase. As well as a taste, patrons could purchase a full glass and take it out to the lawn to sit and relax. There were also a few spots were bean bags were free, or you could hire one for the day. Given we’re most fond of reds, we concentrated our tastings on the pinot noir laneway first, followed by the other varieties. And there it began. While we consciously tried some labels we’d not heard of before, we couldn’t resist sampling some of the more noted offerings from the region. Some of the vintages were very new and hard to evaluate, especially as we were there at the start of proceedings. Few bottles were opened in advance and many of the wines could have done with a bit of breathing. Generally, the pinot noirs we tried, including Giant Steps and Balgownie Black Label were quite young – the 2015 vintage for Giant Steps was only bottled in January this year – but they were pleasant enough. While in the pinot noir laneway we took advantage of a cheese tasting from Stone and Crow Cheese, which specialises in cow and goat’s milk varieties. Gluttonous husband said the blue cheese was quite pleasant and a good foil for a couple of first sips of red, while an ashed goats’ cheese was a bit too subtle. Cheesemaker Jack Holman learned his craft in France and has also worked in Canada. Now he holds forth at the Yarra Valley Dairy. We moved into the reds laneway and had some more interesting wines – some we enjoyed, others not. One in particular was a sweet-style Crimson Shiraz, an early harvest wine from the Fergusson vineyard. We’d enjoyed a number of bottles of pinot noir from this label in years gone by but the sweet shiraz was a bit of a shock to the system. 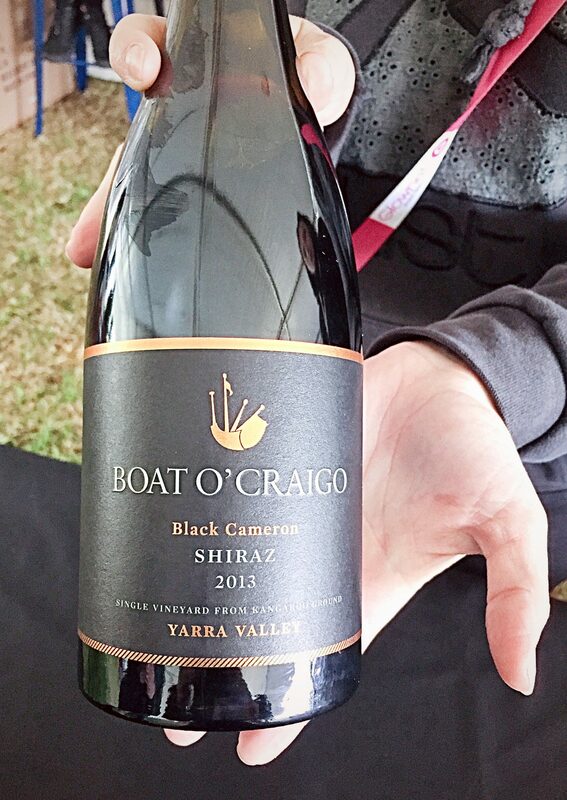 We then moved to Boat O’Craigo, to a single-vineyard Shiraz. My vote for the most unique name! This is grown in what’s termed the ‘western sub region’ of the Yarra Valley at Kangaroo Ground (virtually a suburb of Melbourne) in volcanic soil on a north-facing vineyard. It’s said to epitomise cool-climate shiraz although the summers in this area can be rather long, dry and fierce. Still, it was slightly peppery and spicy and quite pleasant. 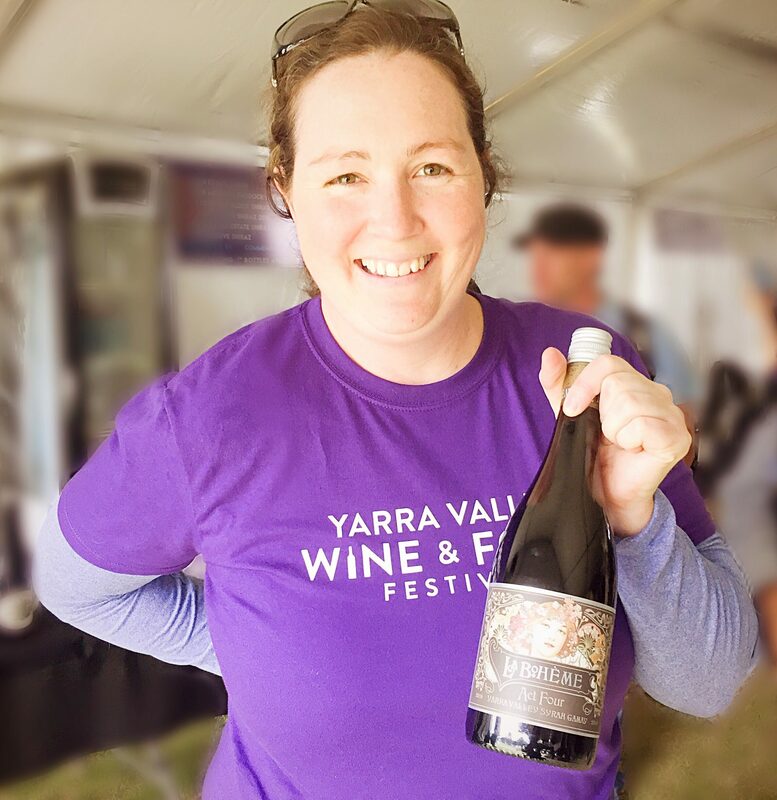 We were lucky enough to catch up with one of the wine ambassadors, Cara, from De Bortoli Wines. The ambassadors were easily spotted in their purple t-shirts and were the people to ask about the various wines, given those serving them were quite busy and perhaps not as knowledgeable for the most part. Cara told us that the ripening seasons in the region are getting much earlier – so perhaps the ‘cool climate’ Yarra Valley isn’t as cool as it once was. We tried the De Bortoli La Boheme Act 4 Syrah/Gamay which was one of the most inexpensive wines on tasting and thoroughly enjoyed the easy-drinking style. We’d have been happy to load some into the boot of our car to take home but the set-up at the festival precluded that. 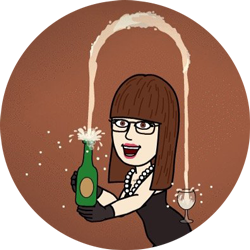 All wines bought on the day had to be freighted separately. 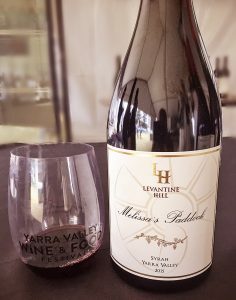 We then decided to try one of the ‘price on application’ wines, taking a Levantine Hill ‘Melissa’s Paddock’ Melange Traditionnel. This was on offer for $200 a bottle and a tasting (a thumbnail’s worth of wine in the tumbler) was an eye-popping $16. Ne’er mind, we handed over our festival card and were promptly poured a taste. 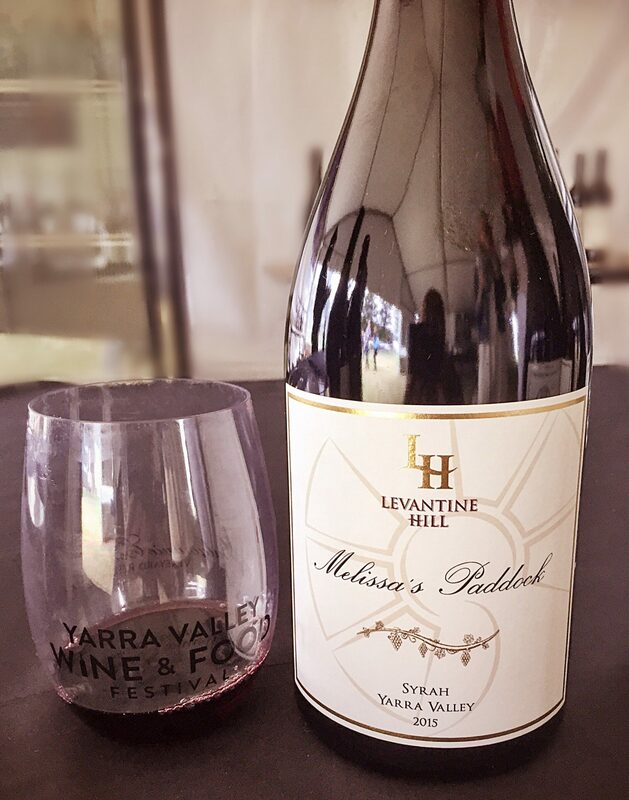 Each of the Levantine Hill wines were at a premium price but this was the most expensive on the day. And so we prepared to be blown away. Sadly though, the nature of the festival is that these wines aren’t really presented in a way to get the most out of them. We chatted again with Cara from De Bortoli who said she’d had a bottle of this recently and had it open for at least 24 hours before, and decanted it. We were poured our taste from a ‘fresh’ bottle. Perhaps if winemakers really wanted to showcase their wares, an idea for future festivals would be a premium laneway, where the wines are brought to taste in as close to their optimum conditions as possible? With such a huge array of wines available, we should have spaced out our time between some of the cooking demonstrations from the local reality TV show ‘My Kitchen Rules’ and perhaps chilled out in one of the bean bag lounges but the weather looked a little threatening to linger. Having sampled around eight wines in total, our palate was close to being shot. When we tour wine regions, it’s hard to do more than two wineries in any one session and we take at least five days to make our way around the big districts, including Margaret River in Western Australia and South Australia’s Coonawarra, Barossa Valley, Clare Valley and McLaren Vale. In Victoria, close to home, we always have the option of doing short and repeat visits to places like the Yarra Valley, Bellarine Peninsula and Mornington Peninsula. Still on our list is Heathcote for a Shiraz fest. Not being able to really sample anything more and make an informed opinion on it, we drained our festival cards and our tumblers and headed for the exit. 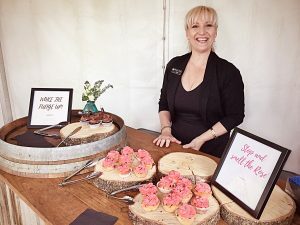 We did stop by the Balgownie bean bag lounge and the free cupcake shop where two varieties were on offer – chocolate fudge chunks topping a chocolate cupcake, injected with Balgownie’s fortified shiraz, plus a white chocolate cupcake topped with strawberry icing and rosé jellies. The chocolate one was very good and the injection of the shiraz gave it welcome additional moisture. And we were done. We stopped by the welcome tent at the front gate and gluttonous husband took the indicative breath test! All good. We headed for the car and counted ourselves very content. 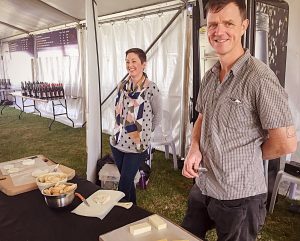 This new iteration of the Yarra Valley Wine and Food Festival has a lot going for it. There were plenty of food stalls, a farmer’s market, a play area for kids and the cashless system worked well. It will be interesting to see how it evolves from here. 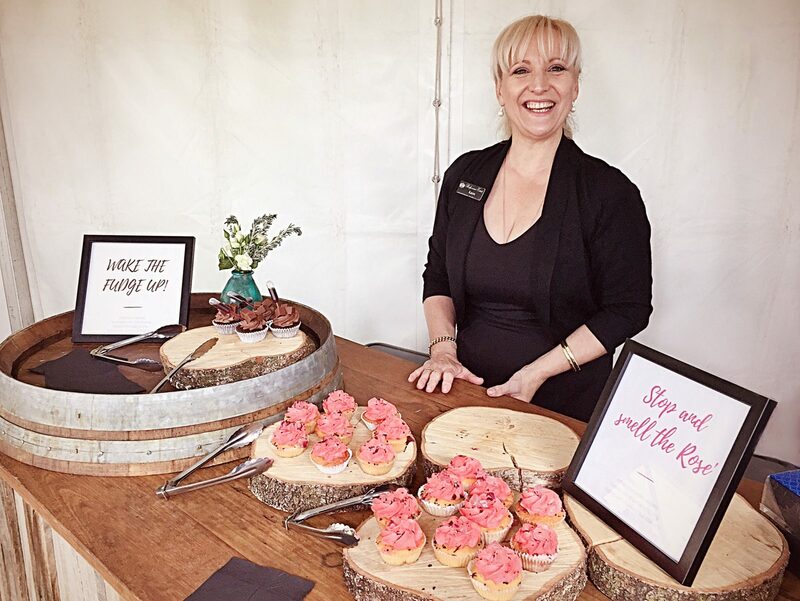 The Foodie World was a guest of the Yarra Valley Wine and Food Festival.